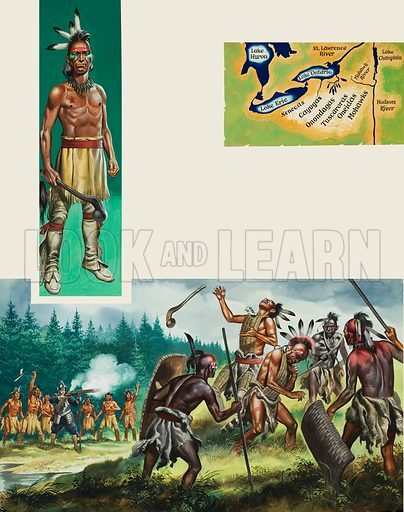 Iroquois Confederacy. The Six Nations of the Iroquois Confederacy held key stategic areas between the French and English colonies (see map). In peace they could dominate the fur trade; in war they could change history. Original artwork for illustration on p20 of Look and Learn issue no 469 (9 January 1971).